Bronze garden statue (water feature) of four ducks flying from reeds. 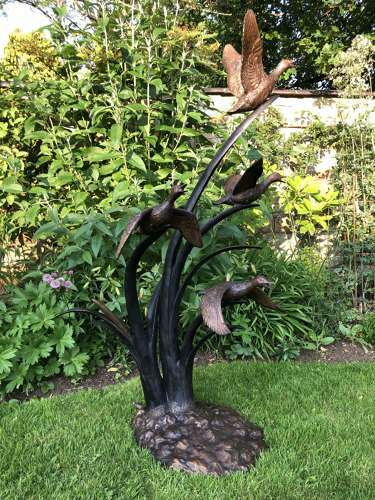 A truly beautifull example of bronze garden art, standing 160 cm tall. This is not on site & to view this piece an appointment will need to be made as we do not keep our bronze statues on site any more. please call Chris on 07850 999522 to view. You can click & buy on line with 100% confidence & a full money back guarantee if not as described.